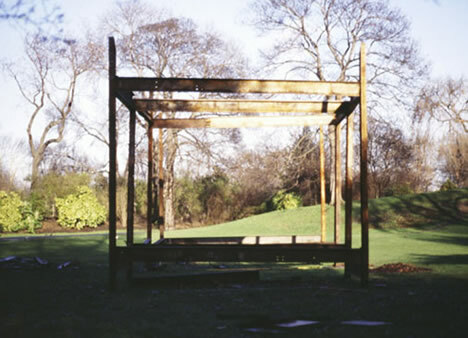 Sky Frame, by Max Couper. 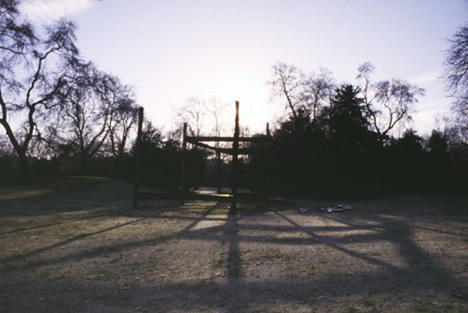 Installation, Battersea Park, London, 1979–1980. Courtesy of the Greater London Council. 38 tons of reinforced steel joists, bolted in place. 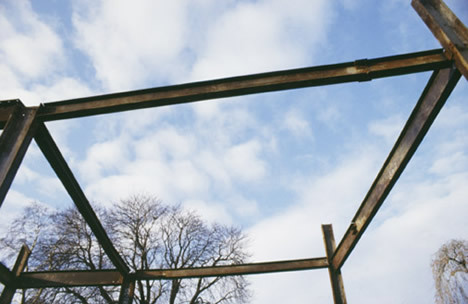 Variable construction.